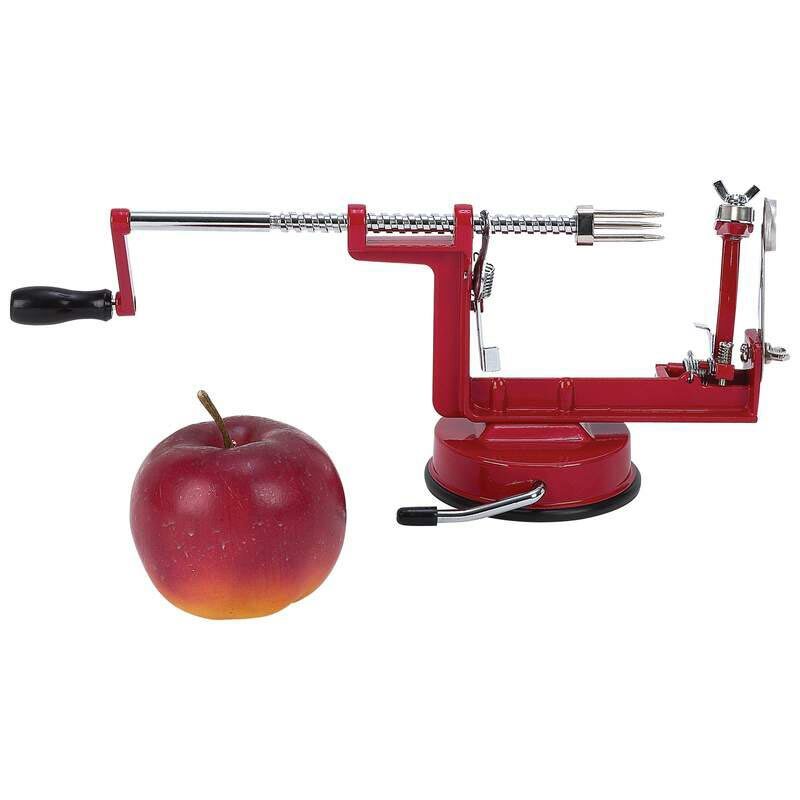 This Maxam® Apple Peeler/Corer/Slicer with Suction Base is a handy kitchen tool to use for quick preparation of apples for pie, brown betty, and crisp. The suction cup anchors it to counter or table top. The peeler does most of your apple preparation work for you by peeling, coring, then slicing the apple into an easy to use size for the recipe. Stainless steel blades Are razor sharp and neatly slice apples on this peeler and corer. Chrome plated winding rod Turns apple on the spit until it is neatly peeled. Handle Screws on for strength. 3 prong extension Securely holds apple for peeling, slicing, and coring. Suction base Adds stability to corer on table or counter surface.